My high school in Abu Dhabi was all about practicality and financial success. The administration pushed the sciences and nigh ignored the arts—if you couldn’t handle the sciences, which would get you into the top colleges and make the school look good, you were punished for it. So what did I do for five hours every Thursday to fend off the crushing despair of being a failure? I worked on a story. On a whim, my mother gave me a hardback book longer than my forearm that was meant for ledger writing. Every Thursday at 8:00 a.m., I opened that book and wrote my fantasy story until it was time to leave. There was a knight, an elf, a wizard, a witch, and an ever-expanding cast of other archetypal characters and settings inspired by reading comic books and playing video games like Warcraft II. It began as one would expect given the influences: something that was remarkably unoriginal, a simple means to an end to keep myself from watching the clock. But I loved doing it. I fell in love with the process, with being between knowing and not knowing how this grand adventure would turn out. The book was so large, seemingly infinite, especially to someone of my age at the time, that I didn’t have any plans on ever ending it. Every plot point became a reason to write more chapters down the line. In what by all accounts should have been a depressing time in my adolescent life, I had sown the seeds of a great fantasy epic, a dream project that only an adolescent child escaping the real world could create. It is a dream that has never left me—a dream that is still going through transformations more than a decade and a half later. I went to college at Purdue University for management at my parents’ suggestion. It was pretty much the only practical field left to me with the sciences left behind. I agreed to work towards a “real” job and still write on the side in the hopes of making it big, but restricting my writing to a side-show hobby was not fulfilling. It was fine for writing short stories, but there was never enough time to dedicate myself to my fantasy world like I wanted. So after a crisis of conscience in my third year of college, I switched my major to English literature to hone my craft in writing stories and specifically to write tales set in my fantasy world. This world was my baby. 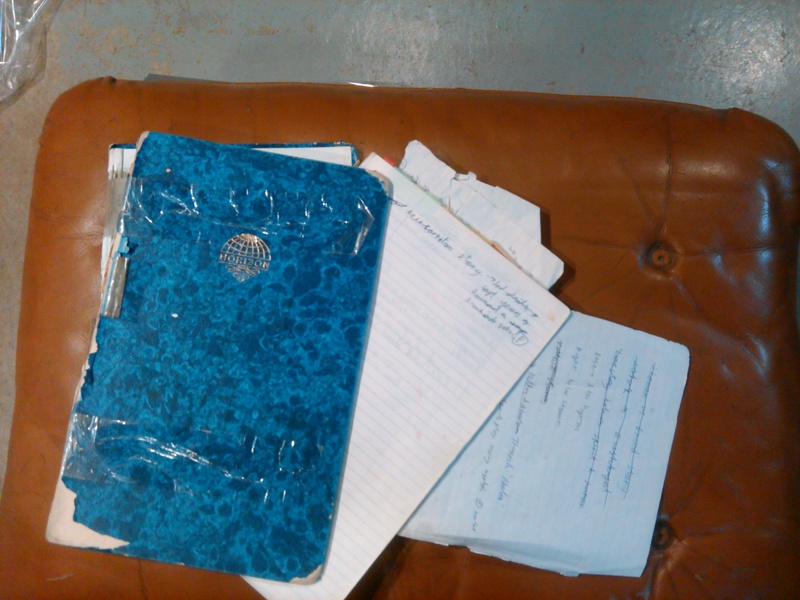 I had cradled the big blue book that contained her for years, and I desired for her to become magnificent, to grab and learn and become sophisticated through our joint experiences. I took an oath to work towards being a “real writer.” My friends in college, Indian immigrants from the Middle East like myself, warned me not to, and I must mention that as my friends they had every reason to do so. They were engineers, men of fact who knew better than I, a man of fantasy, the impossibility of the task I was undertaking. Everything they told me was true, things my parents alluded to but didn’t say outright even when I told them why I was switching majors. In spite of their fear of the consequences for me, my parents knew that this was perhaps the first time I was making a life-changing decision about my future, and they were also afraid of what would happen to our relationship if they stood in my way. But everyone, family and friends alike, was justifiably concerned because they foresaw a time in my life when I would face the combined prejudice of being an immigrant and a working artist and worried that it would be impossible to overcome. What I failed to see even when I took my oath was that it was already too late. I was already an immigrant, and though I only claimed the title years later while in graduate school, I was already a writer. I was already obsessed with writing an epic single story that had so far filled a quarter of a ledger book. I had already written disturbing supernatural short stories in the ninth grade, which I knew were successful because an aunt was worried about my mental condition after reading them. I had already written tales in which I surrendered the control of the plot to the will of my characters, and as a result I learned to be a better person from them. I had also already gathered a fan base, made up of family and friends though it was, that was waiting for my next story. So I kept to my vow that I would do this—that I would work and sacrifice whatever was necessary and overcome all obstacles to make it as a writer in America, where there was promise my work could reach an audience. I dedicated myself to my stories and characters completely because I had to and because I loved doing it. I was accepted into Hamline University’s MFA program in January of 2006, which is what brought me to the Twin Cities. Here I learned to write in many genres, and I earnestly studied mythology as part of my coursework. 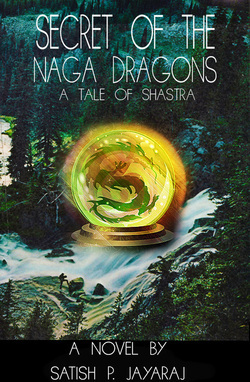 My fantasy world became truly my own through my thesis project, The Secret of the Naga Dragons, a young-adult fantasy novel that is my finest journey into my own imagination. But when I finished my MFA in fiction writing, reality reared its ugly head. My student visa was about to run out, and my dream and ambition to be a writer was not going to grant me permanent residency in America. As a result, I did a terrible thing: I blamed my fiction. In spite of everything it had done for me, I blamed it for stringing me along, for convincing me that it could save me by keeping me in Minnesota, a place that had unexpectedly become my home. Even this was a jarring realization to me—that outside of my fiction I had a place I could call home. By blood, I am from India, but have never lived there; my dad’s job took our family through Saudi Arabia, Oman, and the UAE. We were always immigrants, and I grew up accepting that it was impossible to get a residential visa in any of these places as a fantasy fiction writer. I now had to fight and face every day the reality of my situation that I had long denied, and in order to do that I thought it was necessary to distance myself from my fantasy. By this time, with all the changes it had gone through, my fantasy world had overflowed into a second big blue ledger book, but this edition suffered from my anguish. The cover was no longer attached, and some of the pages were even torn. It was a mess. This was a book that was sacred to me, and yet because of the love-hate relationship I now had with it, I treated it like someone who felt betrayed by their lifelong religion. Shunning my fantasy left me idle, and with my joy of creating fiction gone, every negative emotion that had gathered on the surface over the years now had easy access to my core. 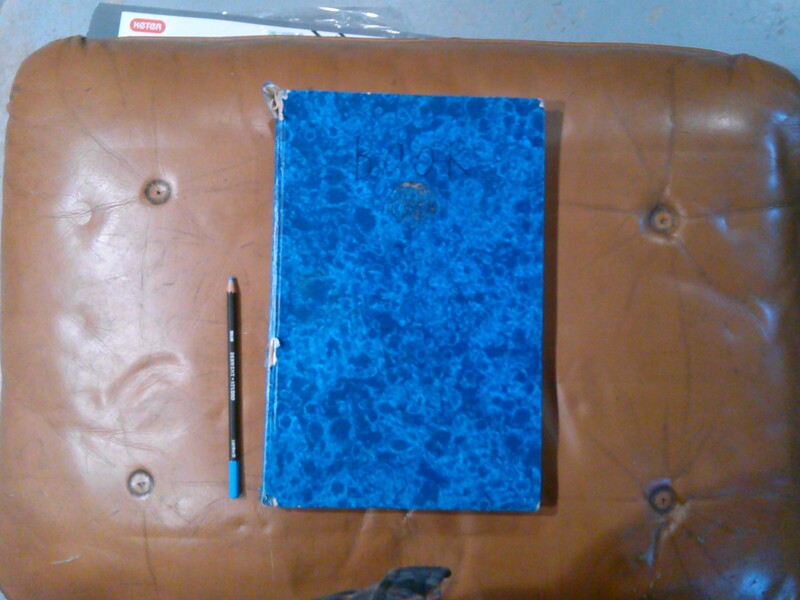 The second Big Blue Book. The cover is detached, and some pages are torn and crumpled. I could not stop thinking about the damage my decision to be a writer had done to me, and yet I still could not abandon writing completely. As badly as I treated my book, I could never throw it away. Still, I was filled with a sense of finality and fear of what would happen to me now, which further distanced me from my writing and characters, the things that had sustained me throughout my life. I felt wronged by my dream to be a writer. I had put so much faith in the idea that it would save me from a tangible, reality-based fate that my fellow immigrant friends had escaped by being sensible engineers. There were times I wished I’d been aware in that junior year of college, when I made my vow, of everything I would be giving up. Other times, I was glad I wasn’t. I missed family weddings, births, and deaths. Any money I made from my part-time jobs went straight back into a second master’s degree, the Masters of Liberal Studies program back at Hamline, which, aside from keeping my dying dreams to be a writer alive by keeping me creatively active, kept me in my adopted home. But through it, I lamented how my personal life would be different socially if I dedicated as much time and money to it as I did my foolish dream. The worst part of this entire experience was that all the drama was happening only in my head; I didn’t feel safe telling anyone else. As an immigrant in this country, I knew not to challenge the authority that allowed me in. We are programmed from arrival to not discuss any unfairness against us. Normally I would still talk my immigrant friends about it because they naturally understood the issues we face, but they were not creative artists, so how could they understand this whimsical need for me to tell stories? As much as I loved them, I couldn’t trust them to be tactful, and the last thing I needed to hear was an “I told you so.” And I couldn’t tell my writer friends, because they were all American, and the silence imposed on us immigrants aside, I was afraid to separate myself from my fellow writers. I didn’t want to talk about writing anymore. I didn’t want to break down in front of them and yell, “HEY! It’s great that you write. I want to have the privilege to write like all of you do, like I thought I did, but I’m not one of you and so I don’t.” And I was too afraid to tell my family. They might have suggested that it was time to give up trying to live in the Twin Cities, and I was so lonely and close to doing so that I might have followed their advice. But for my sanity at this point in time I needed to tell my story, more so than I did the multitude of fantasy fiction stories that were trapped beneath it. Ultimately, I confided in a wise professor, Patricia Francisco, who knew the silencing effects of depression on creativity. She encouraged me to tell this story to myself. And so I did: by writing the first draft of this very piece in under three hours. The result was nothing short of miraculous. 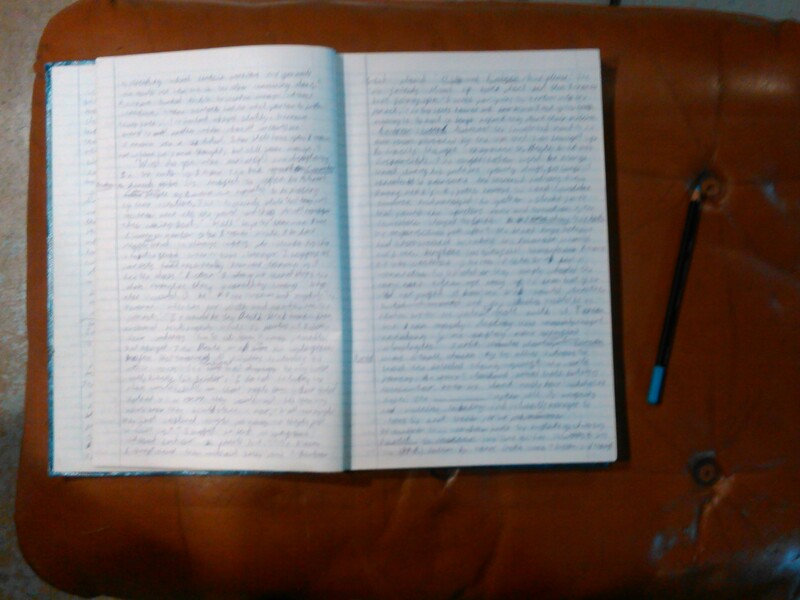 By transferring it from the swirling chaos of my head into written words, I was able to make some sense of it. I could feel that two and a half years of depression were soon to be in my past. Breaking down in tears two to three times a week, being unable to write fiction, being uncomfortable and afraid around everybody, especially writers who I had come to love and envy—all of it on its way out of my life because of a new beginning spurred by five pages of creative nonfiction. By writing this piece, a piece I never planned on sharing, I realized that though the decision to become a writer may not have been the most practical, it was the only one I could have made. Writing is what I do because there is nothing else that I care to do. Facing my fears through the sacred art of writing reminded me that I believe in what writing will do for others given what it has already done for me. I was able to grasp the cause of my woes. The Twin Cities became my home because of all the rampant art that was around, and this alone separates it from every other place I have lived or been familiar with. It isn’t just the great literary presence here but the respect for music and for visual and performance art that makes these cities great. Here I was happy, and here I and my art would continue to evolve. But in spite of this, the power of the arts was still not respected enough to grant me the opportunity I needed. Around the time when I was looking for new sources of strength and felt separated from everyone around me, I turned to the strongest and most famous loner I knew for inspiration: Batman. No more moping about my predicament; it was time to be proactive. I was still not in a great place to write fantasy, so I set myself on a new adventure. Because I felt lost, lonely, powerless, and afraid, I invested all that I had, like the caped crusader, in my mad vision for the city in which poetry, stories, and other forms of literature would cycle through everyone’s busy world. In 2011, I decided that I was going to reinvent the wheel in modern society by turning every place into a site for writers and thinkers to express their creativity to a public audience. So began Cracked Walnut: year one. Of course, I wasn’t a young billionaire like Bruce Wayne (wouldn’t that have solved a lot of problems? ), but I had other resources available to me. I had come to know many able writers who had a lot of work to share and, more importantly, were eager to do so. My duty was to create the avenues through which they could share this work with both suspecting and unsuspecting audiences. I made contact with different venues, including some through my fellow writers. Some places, like the grocery stores and funeral chapel, were a bit strange; others, like the public coffee houses, were more expected. But all were willing to host a collective of writers who would read their own work for public audiences as part of this spoken-literature experiment. I called the project Cracked Walnut for a multitude of reasons, one of which is simply that I like how it sounds. Ultimately, I needed it to have an identity that was separate from myself. This was my “Project Batman,” so it needed to be something bigger than me that I could serve—something that had its own ego that would ultimately lead to a movement. After almost a year of Cracked Walnut literary experiments, when the old pressures and fears resurfaced because deportation was again imminent in my future, I truly surrendered myself to my vision. Sitting alone in my basement apartment (sure, you could call it a cave), I knew that one or two readings a month was not good enough anymore, not after a year of experiments had convinced me that there was explosive potential for this simple idea. My initial goal was outrageous, but after negotiating with reality, I settled on organizing 25 different readings in the span of a month and a half for the Cracked Walnut Literary Festival. 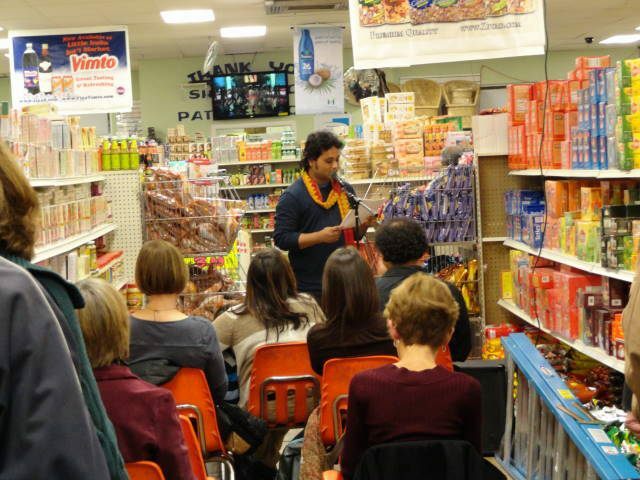 Each reading would happen in a different venue in the Twin Cities so that no matter where anyone lived, spoken literature would be happening close by. Each reading would also feature a different collective of writers to guarantee audiences a different show every night and to showcase as much Twin Cities talent as I could. This was to be my grand gesture of my worth. It would either be a new beginning or, more likely, my final gift to the Twin Cities. If I was going to be forced to leave the city that had become my home, my Gotham, I was going to leave only after I gave it something worthy of the greatest American superhero of all time. I was told by peers and elders that it would not work. Others were too Minnesota nice to express their doubts, yet their skepticism was palpable. I ignored them all. I already had nothing to lose, and I wasn’t going to open myself to more negativity. If it turned out to be a big flop, oh well. I was going to be out of the country in four months anyway, and I was finally coming to terms with this. Failure meant nothing to me. It wasn’t just stubbornness that kept me from listening to people who thought I was setting myself up for defeat, though: I simply knew the second I committed myself to this madness that it would succeed. 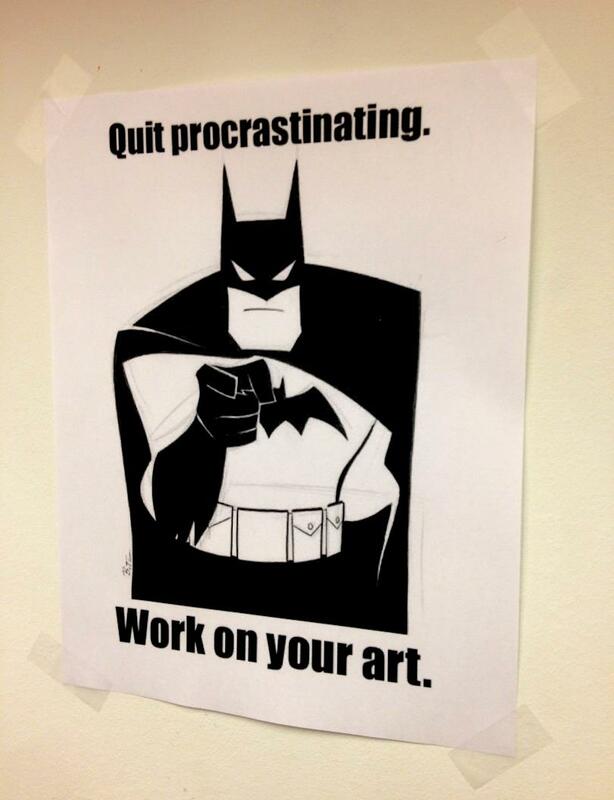 It wasn’t the “unconquerable faith” in myself that Batman had that kept me going, though the cheap black-and-white printout of him above my bed certainly helped me stay true to my purpose. What I had was the army of writers in the Twin Cities whom I was recruiting for this tactical mission. My own writing is part of who I am. Though I had forgotten this for a while, when I turned my 22-page high-school fantasy idea into a 300-plus-page novel at Hamline, the gift to myself from this accomplishment was immeasurable. There is no way to measure wisdom gained from investment in such a project, to measure the advancement in imagination, the increase in creative aptitude, the deeper understanding of compassion, or the confidence that comes from being the vessel through which an imaginative world and fully realized characters come to life. This immeasurable thing is why I dedicated myself to a Batman-esque lifestyle and mission. I was limited by how much I could push my novel because of all the aforementioned pressures, but though I could not share the story as widely as I wanted (which is of course the euphoric goal of every career writer), all my writing was already such a magnificent gift to myself. I knew intimately the sacrifices every writer makes to create these gifts for themselves, and these gifts needed to be distributed on a mass scale. I never had any doubts that by creating an intelligent identity through which the many talented writers of the Twin Cities could express their gifts, success was inevitable. I believe over 130 writers were involved in the first Cracked Walnut festival, writers of every genre and at every stage in their careers who were all ecstatic to be part of this grand literary adventure. A couple newspapers advertised what we were doing and talked about us, I was interviewed by a couple different people, and even a video interview showcasing the festival was put together. Every reading was widely attended and left audiences with that thing that kept them coming back for more. I had the thought that maybe, just maybe, I would be rewarded for my work with that one job in a million in the literary arts field that would pay enough money to sponsor a work visa. I worked toward that idea because I needed that goal, but ultimately I was coming to terms with the fact that I would still be leaving soon and even looking forward to the next chapter of my life. I was intrigued with something Patricia had said to me earlier: that I would create the community around me wherever I went and thus had nothing to fear. I even became excited about my future after the Twin Cities. But as you might have guessed, that never happened. A couple months before the festival began, I met someone whom I grew to love deeply who happened to be American. We married less than a year later, and aside from making me happier than I have ever been, the sudden turn of events also reinstated my belief in karma. Azure is not a writer, but she is a classically trained singer and visual artist, both of which have also become a part of Cracked Walnut’s evolving identity. Like me, she has complete faith in Cracked Walnut’s mission—to “create community in average spaces through the magic of spoken literature”—and, of course, Batman. I believe that Batman knows his mission to end all crime and create everlasting peace is impossible, but he ignores this fact so that he can commit himself completely to his purpose. One thing I think is rarely mentioned in Batman’s story but that, after imitating him, I have come to think is essential to it, is the bliss one feels from being a positive force for good. 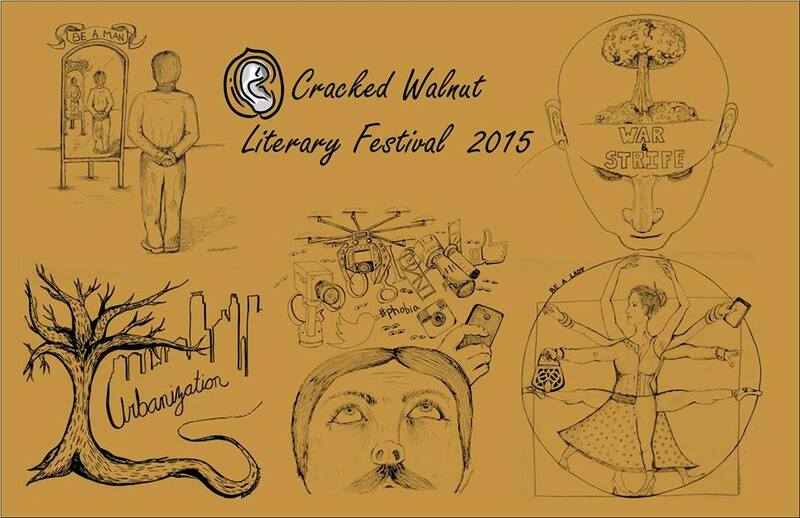 I am very proud of what Cracked Walnut has achieved to date. We are now in the middle of our third annual literary festival, and aside from my wife and myself, there are now three others on the team who are taking it further with the help of the great support we have received. This year, the festival consists of 29 readings happening in different spaces all over the Twin Cities metro area and involves over 150 local writers and some musicians. Each reading has a different title that writers are addressing, from the necessary to the bizarre, from “War and Peace” at Eat My Words Bookstore to “Fractured Fairy Tales” at the Lift nonprofit garage. I invite everyone to come check it out. I promise you’ll enjoy it. I am now working on the second novel set in my fantasy world, which I see as being part of a trilogy. Cracked Walnut is modestly distracting me from it but is also overwhelmingly feeding it because of all the talent I am constantly exposed to. And besides, this Cracked Walnut adventure is me being Batman—and who could ever give that up? Thank you deeply Sateesh for sharing this important inner story of your writing career and the Birth of Cracked Walnut which is now an important fixture of The Twin Cities Literary scene. Thank you deeply Sateesh.